Thank You, Karen it look great against the rocks, could not resist. 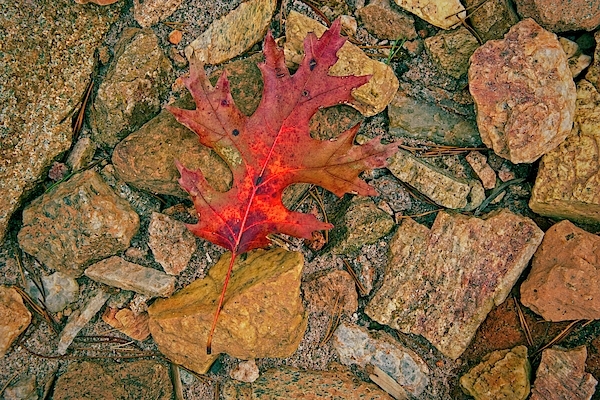 Walking along the shoreline of Lake Lanier, when I came across the first signs of autumn. 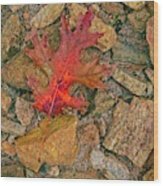 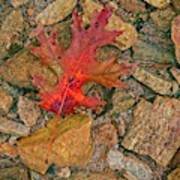 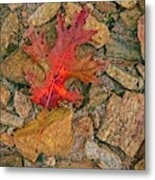 The bright red color of the soft leaf laying gently on the colorful harshly contrasted rocks made for a complementary combo.